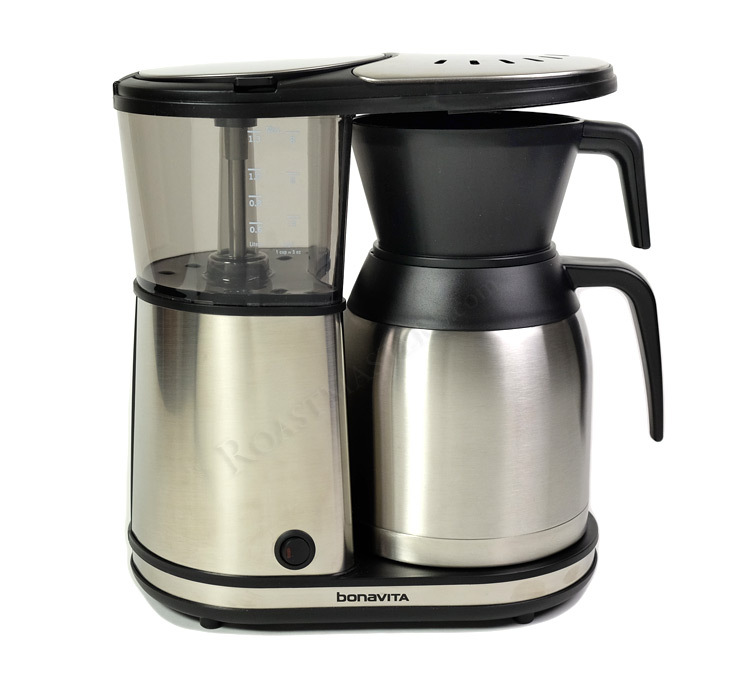 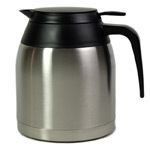 The latest Bonavita 8 cup coffeemaker with thermal carafe is a wonderful new addition to the Bonavita line of brewers. 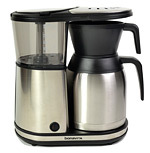 The compact and sleek design pairs with simple, consistent operation. 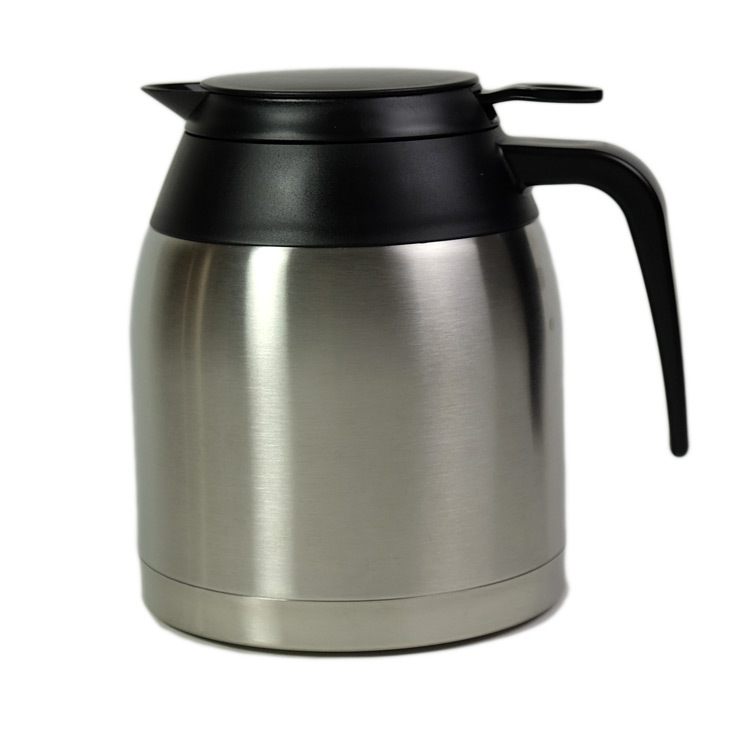 The brewer is engineered to brew only once its reached the optimum temperature of 195 to 205 degrees. 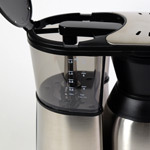 There is an optional pre-infusion mode that will wet grounds and release inherent gases in the coffee grounds prior to the full brew cycle begins. 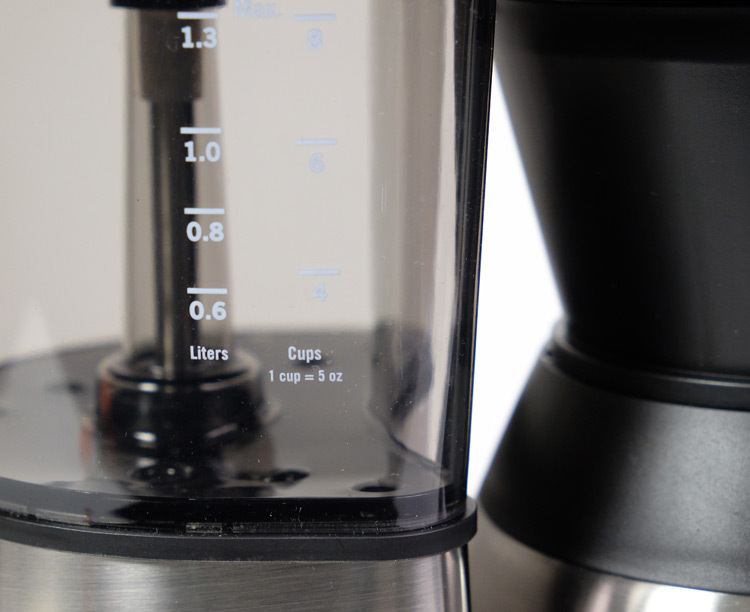 This is especially beneficial when using freshly roasted coffee which has gases that should be released with a pre-soak before brewing, a process mostly seen only in commercial brewers or manual pour over. 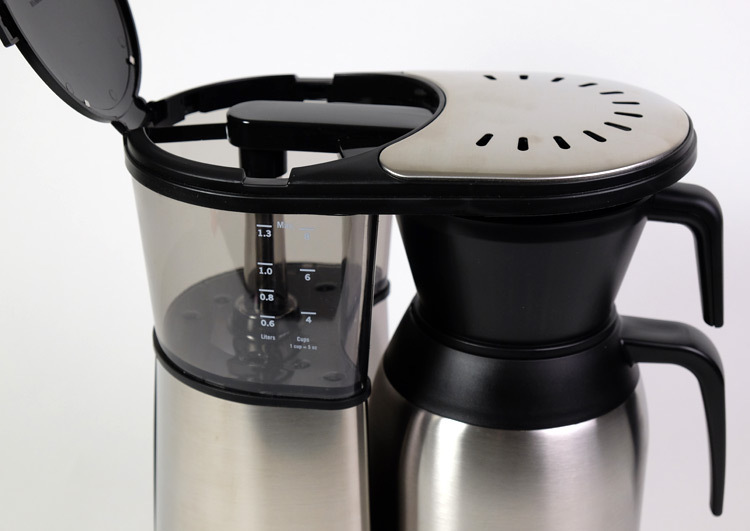 A crucial part of brewing excellent coffee is reaching and maintaining the optimal water temperature during the brew cycle, this gives the coffee a balanced and full flavored taste. 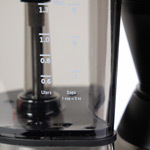 Another key factor is the proper saturation and extraction of the coffee grounds. 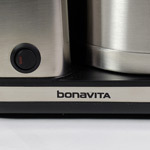 Bonavita has designed a wide showerhead design to evently distribute and wet the coffee grounds for uniform extraction. 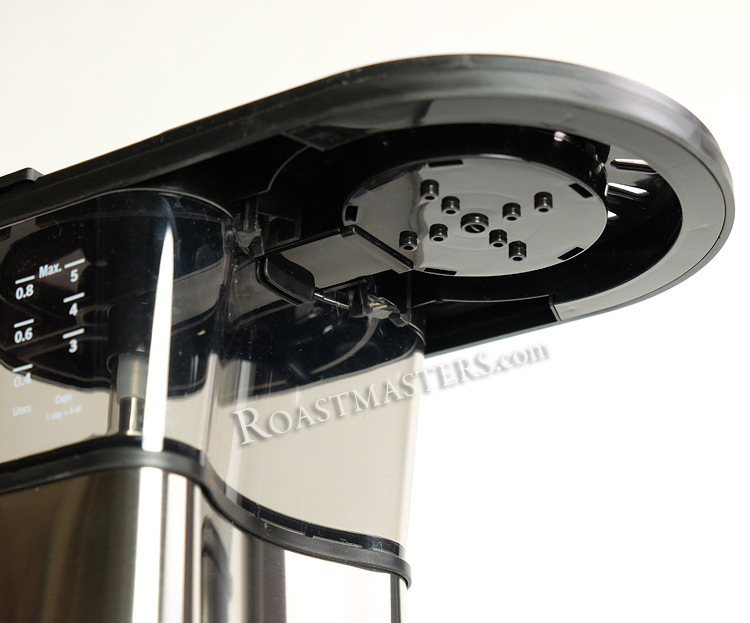 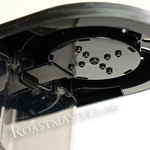 Additionally, the flat bottom filter basket helps ensure the coffee grounds sit evenly to allow perfect saturation. 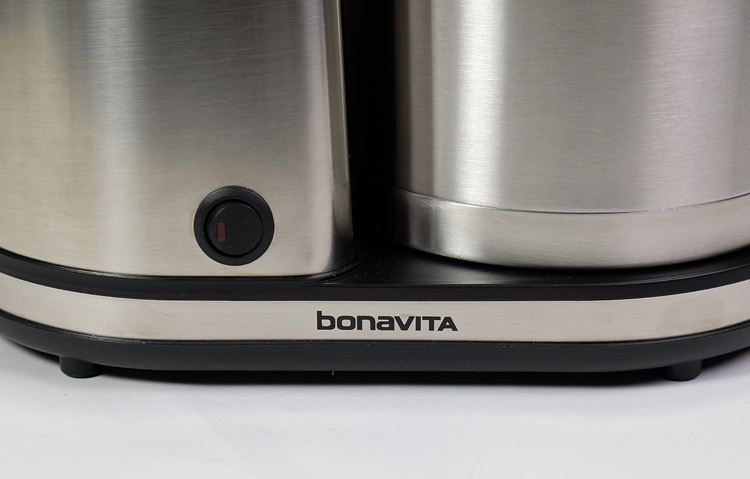 Bonavita is continually advancing in coffee brewing technology with simplicity and style and this is no exception.